Orbital Symmetry: A Problem-Solving Approach reviews the methods of analyzing pericyclic reactions. 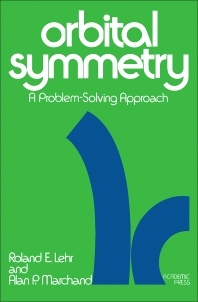 Problem solving is the foundation of this book, providing problems in introductory and theory sections to prepare readers for the more extensive chapters that follow. All problems, except those in Chapter VIII, are answered in this text and are fully referenced where appropriate. Many of the problems require the use of molecular models, while Prentice-Hall's “Framework Molecular Models” and Benjamin's “Maruzen Models” are best suited for the construction of the highly strained molecules. This publication is addressed primarily to advanced undergraduate and beginning graduate students concerned with analyzing pericyclic reactions.